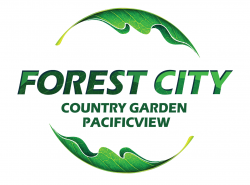 COUNTRY GARDEN PACIFICVIEW SDN BHD ("CGPV"), is the developer and operator of Forest City Project, which Joint Venture between Country Garden Group ("CG") & Esplanade Danga 88 Sdn Bhd ("EDSB"). CGPV is 66 percent owned by the China-based giant through Malaysian registered subsidiaries Country Garden Waterfront Sdn Bhd, Country Garden Danga Bay Sdn Bhd and Country Garden Real Estate Sdn Bhd. The state government's share of the project, or more specifically KPRJ, is purportedly through Esplanade Danga 88 Sdn Bhd, which holds a 34 percent stake in CGPV.